Whether you are new to Chicago or just looking to change buildings or neighborhoods, trust the Chicago luxury apartment specialists to find the perfect Chicago apartment or condo for your lifestyle and budget. We are Chicago-based licensed real estate professionals and we know the Chicago luxury apartment market like no one else. And our services never cost you anything. We’ll even pay 10-20% of your first month’s rent on any apartment rented through this website! As licensed luxury apartment specialists, we have access to thousands of apartments & condominiums all over Chicago — including many that never get advertised or listed for rent. Looking for a lake view? Need an outdoor dog walk area? Looking for all that plus parking and a fitness center? We won’t waste your time with listings that don’t match up. Our concierge agents are interested in one thing: Finding your perfect apartment or condo. So we do the research, we set up all the appointments, and we advocate on your behalf. And you never pay a fee for our services. 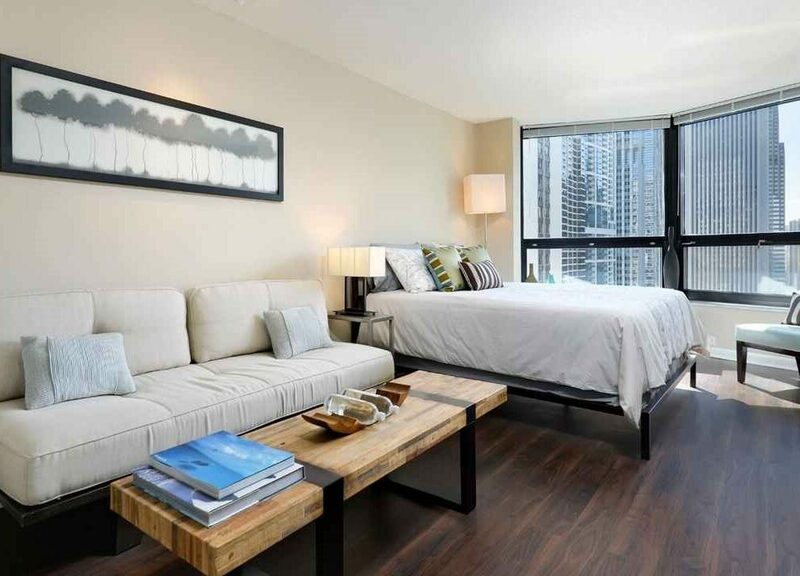 Finding Your New Luxury Chicago Apartment or Condo is Easy and FREE. Luxury Chicago apartments & condos are all we do. We are from Chicago, live in Chicago, and have extensive knowledge of Chicago’s neighborhoods and its most distinguished properties. We are adept at finding the best deals and the newest listings and, with thousands of available Chicago apartments, our clients have countless options to choose from. At Chicago Apartment Seekers, our mission is to match apartment seekers with the perfect Chicago luxury apartment or condo. Our licensed real estate professionals work as a concierge to find and vet apartments or condos that suit your wants, needs, and lifestyle. We then set up the appointments, tour the properties with you, and even help negotiate leases and move-in requests. We are true advocates for our clients and we are there with you every step of the way. And our service is completely free. Have a specific budget, neighborhood, or list of building amenities in mind? No problem. Custom searches are our specialty. Call us at (773) 236-2787 or fill out the form below to get started. Is this service really free? Like, ZERO cost to me? Yes! You will never pay us a fee for our services. For a limited time, we will even pay 10-20% of your first month’s rent on any apartment rented through this website. What Chicago neighborhoods do you work in? As licensed Illinois real estate realtors, we work (literally) in all Chicago neighborhoods. We are not bound to particular buildings, areas, or neighborhoods and don’t push you toward any particular building. Our goal is simple: We only want to find the right apartment for you. What buildings do you represent? We are not limited to any particular buildings or developments. We are authorized to offer and show you units in any building that fits your lifestyle and needs — not a limited number of buildings. We make it easy to find your new apartment or condo. Just get in touch with us and let us know what type of property you desire. We will get to work locating and vetting properties in your desired neighborhoods. We’ll get back to you with the best results and narrow down the list with you. We then set appointments to tour the apartments with you and once you have made your choice on all of the apartments we have visited, we work with you through the lease signing and up until your move in to make sure the entire process goes smoothly. Do you have access to short-term or long-term leases? Yes! While majority of leases are for one year, we do have both short term and long-term leases available. Can’t I do all of this on my own? Yes, you can. You can search across outdated & incorrect websites and listings and exhaust yourself finding accurate contact info. You can also can play phone tag with the owner or building representative and set up showing times for all the appointments. You can also evaluate and negotiate the lease on your own. But why not go with a free service that does all the legwork and has found apartments for over 1,000 happy clients? Yes. All of our agents are licensed, experienced real estate professionals who specialize in the Chicago market. Many of our clients call us a month or two before their lease is up to ensure that we have plenty of time to see the maximum number of units. But, depending on the season, current market conditions, your budget, and what amenities you seek, you could be looking at apartments or condos today or tomorrow! Call or text at (773) 236-2787, send us an email, or fill out the form at the bottom of this page. We know the neighborhoods of Chicago and we know the inventory in any given building or property. New listings go fast and some don’t even stay around long enough to get advertised to the public! For the freshest listings & results, call us at (773) 236-2787. For a limited time, we will pay 10-20% of your first month’s rent on any apartment rented through this website! For a limited time, we will pay 10-20% of your first month’s rent on ANY apartment rented through this website.